DAVID J. DERING graduated from the Honors Program at Boston College in 1992 and received his Juris Doctor Degree from the Boston University School of Law in 1995. While attending law school, he was Appellate Moot Court Director, represented the school in the ABA Mock Trial Competition, and served as a Student Assistant District Attorney for the Commonwealth of Massachusetts. Following his graduation, he served a judicial clerkship with the Honorable Christopher Dietz, a Superior Court Judge in Union County, New Jersey. Since joining the firm in 1996, he has been involved in litigation and trial of all types of casualty claims and defense of bodily injury matters, coverage litigation, worker’s compensation cases, and appellate matters. He is now a partner in the firm. 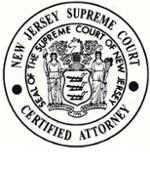 Mr. Dering is Certified by the Supreme Court of New Jersey as a Civil Trial Attorney and has tried over 100 civil matters to a verdict. He has successfully argued many cases before the Appellate Division, as well as prevailed on behalf of clients before the Supreme Court of New Jersey in the matters of Robertet Flavors, Inc. v. Tri-Form Construction, Inc., 203 N.J. 252 (2010) (Spoliation of Evidence) and Brunson v. Affinity Federal Credit Union, 199 N.J. 381 (2009) (Malicious Prosecution). Mr. Dering is a member of the New Jersey State Bar Association, presently serves as a member of the Supreme Court’s District X Attorney Fee Arbitration Committee, and is a Defense Bar Panelist for the Middlesex County Civil Division. He is admitted to practice in the State of New Jersey and the United States District Court for the District of New Jersey. He regularly presents seminars to the firm’s institutional clients regarding recent developments in New Jersey case law, Employers’ Liability, and Worker’s Compensation coverage issues.